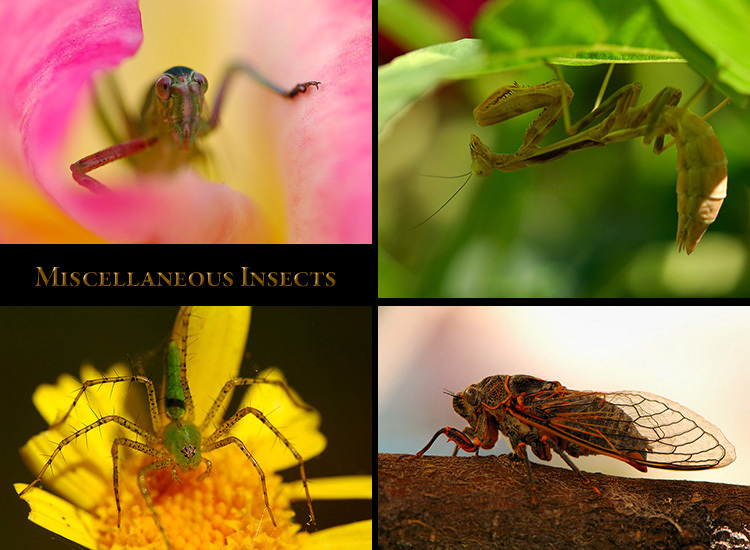 The Insect Studies section contains two subsections with over 300 macro images of Insects. Macro photography presents special challenges and offers a glimpse into a truly different world. taken in Southern California, although there are a few shots from Yosemite National Park and New Mexico. 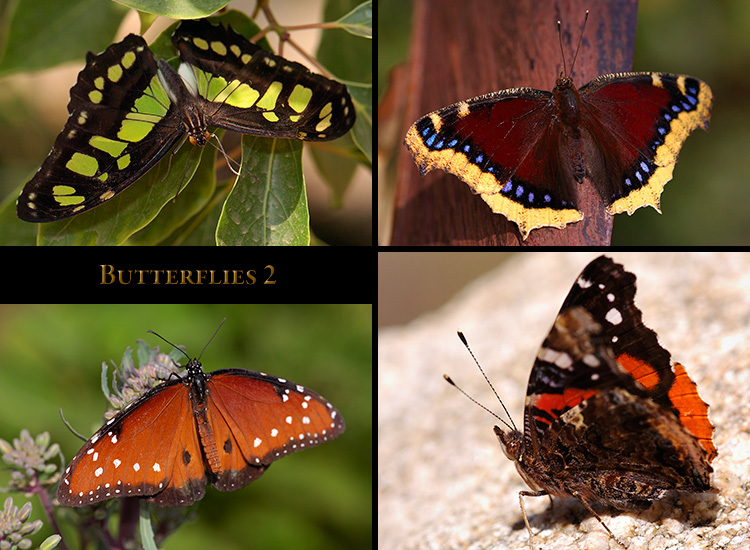 The Butterflies section contains three pages and an Overview page which has sample images from each page. detailed species information. An Overview page contains sample images from each section page. Click a Display Composite or a text link in the Index below to open a page. Cecropia Moth, Great Southern White, Julia Heliconian, Lorquin’s Admiral, Red Admiral, Skippers. Zebra Longwing, Monarch and White-lined Sphinx Caterpillars. Palamedes Swallowtail, Polydamas Swallowtail, Tiger Swallowtail. 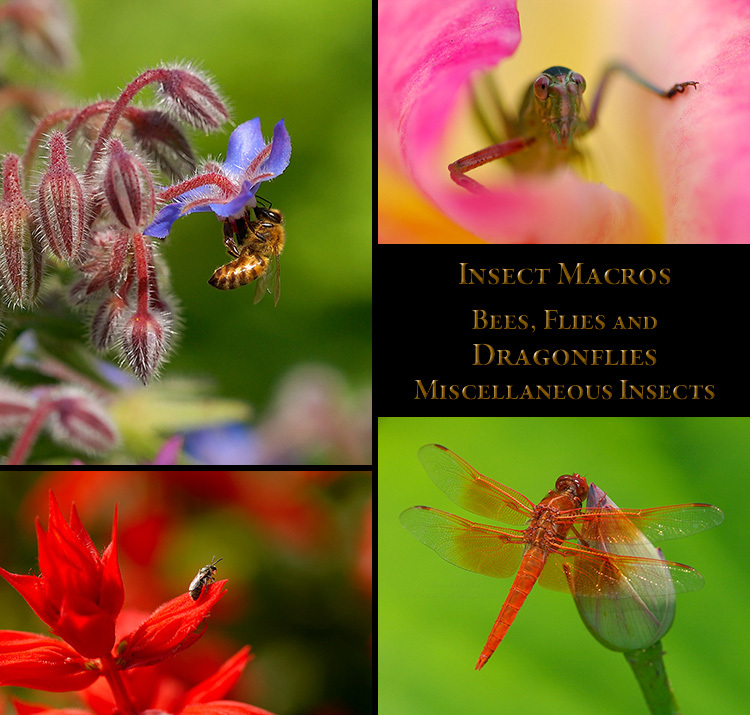 The Banner below leads to the Insect Macros Collection where images can be selected. 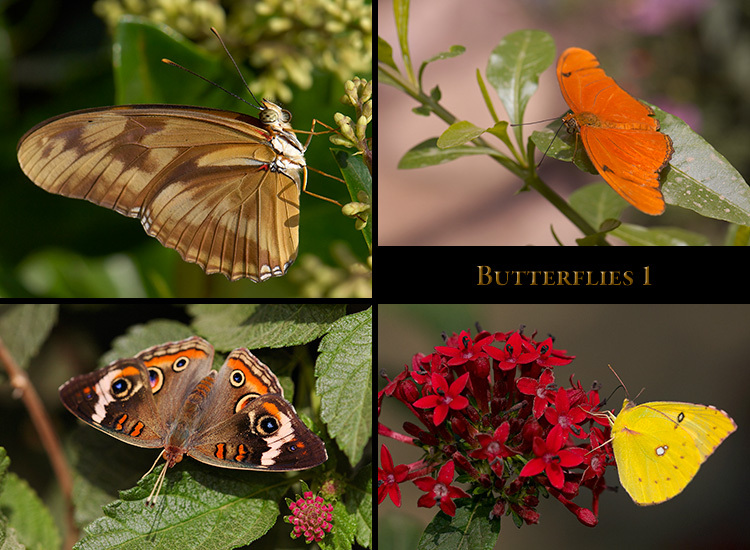 The Butterflies section contains three pages and this Overview page which has sample images from each page. mostly in Southern California, with a few images from Yosemite National Park and New Mexico. 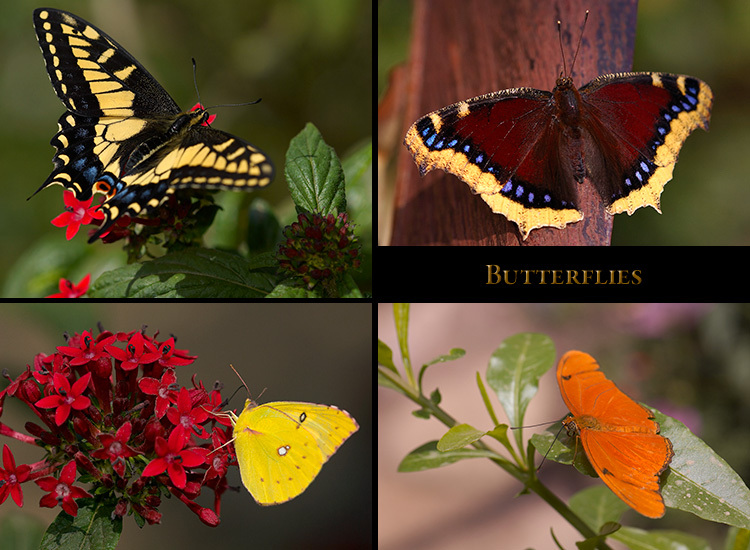 The Butterflies 2 page contains 62 images of assorted butterflies taken in Southern California. 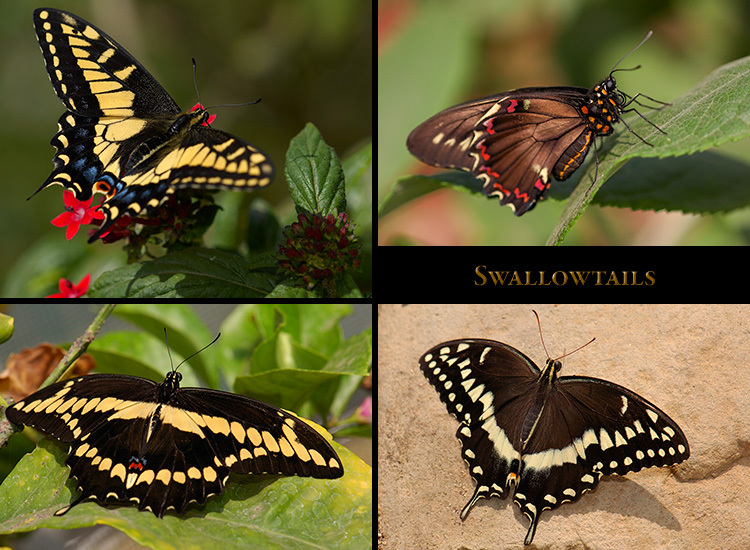 The Swallowtails page contains 40 images of Swallowtail butterflies from Southern California. detailed species information. This Overview page contains sample images from each section page. 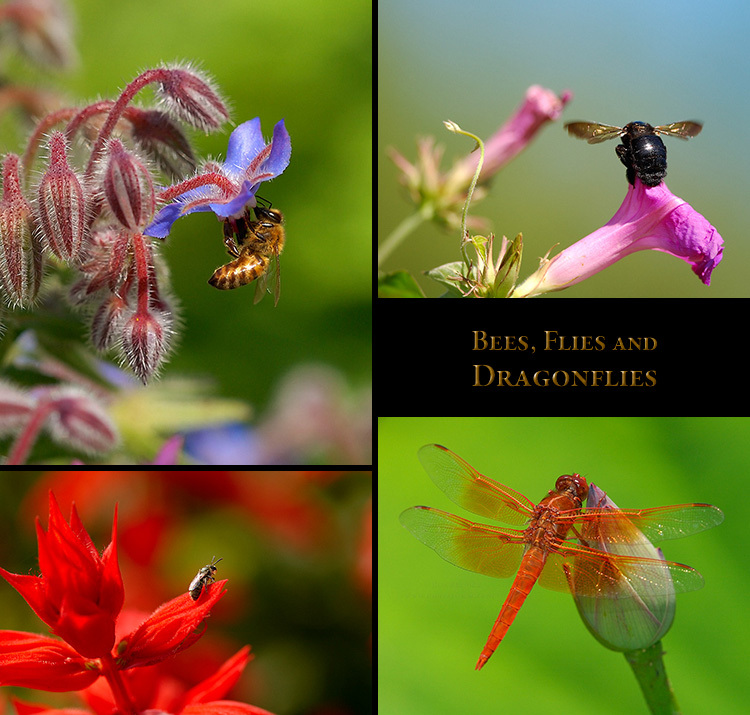 The Bees, Flies and Dragonflies page contains 75 macro portraits and detailed species information. Ladybugs, Mantises, Spiders and other insects, along with detailed species information.